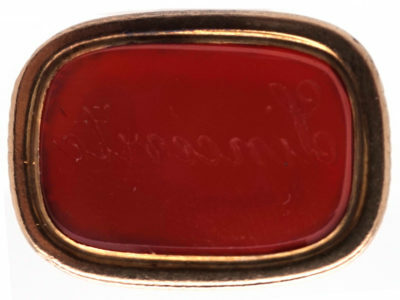 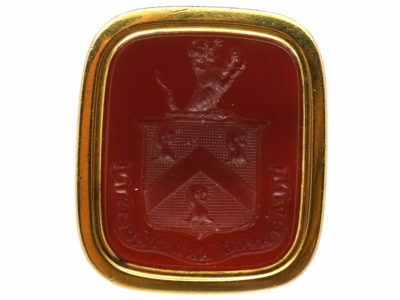 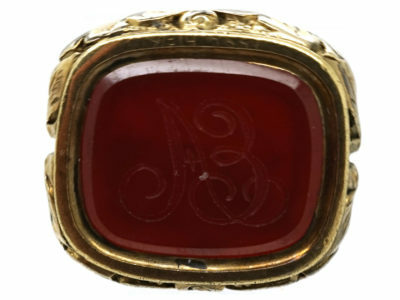 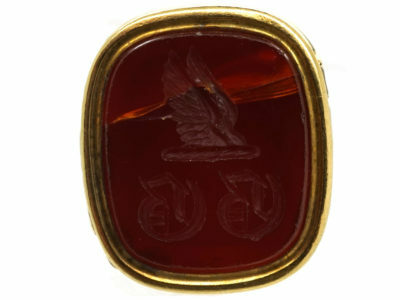 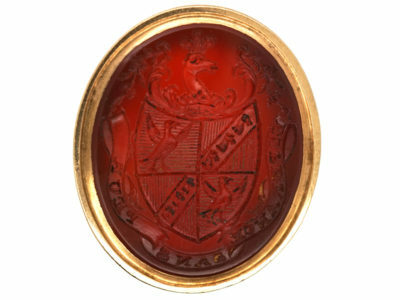 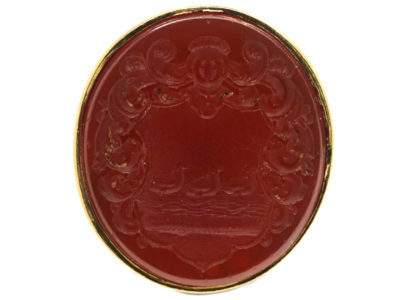 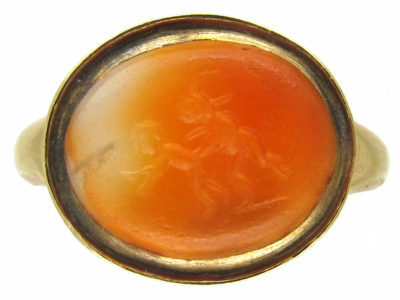 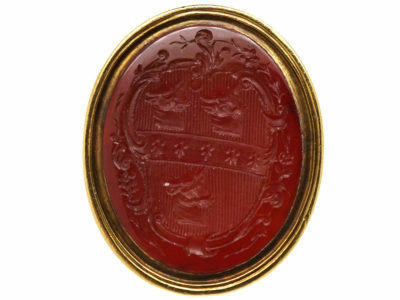 A good Georgian seal that was made circa 1800-1820. 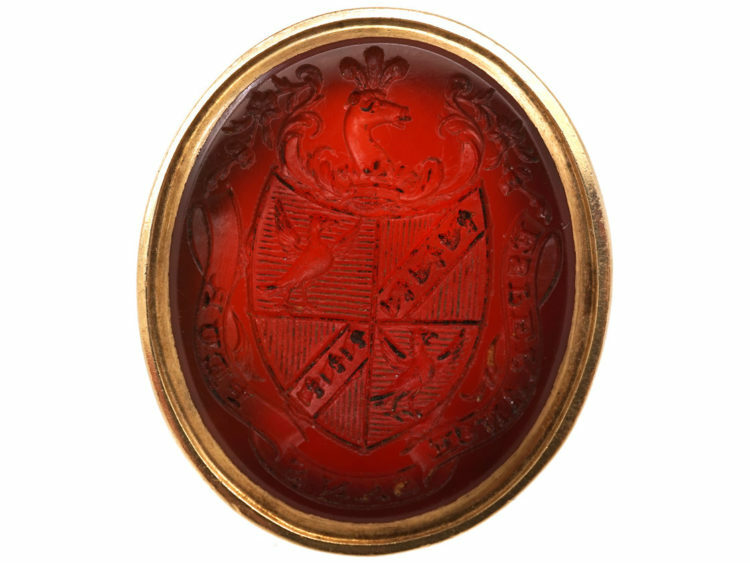 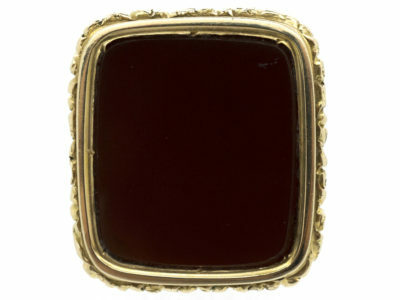 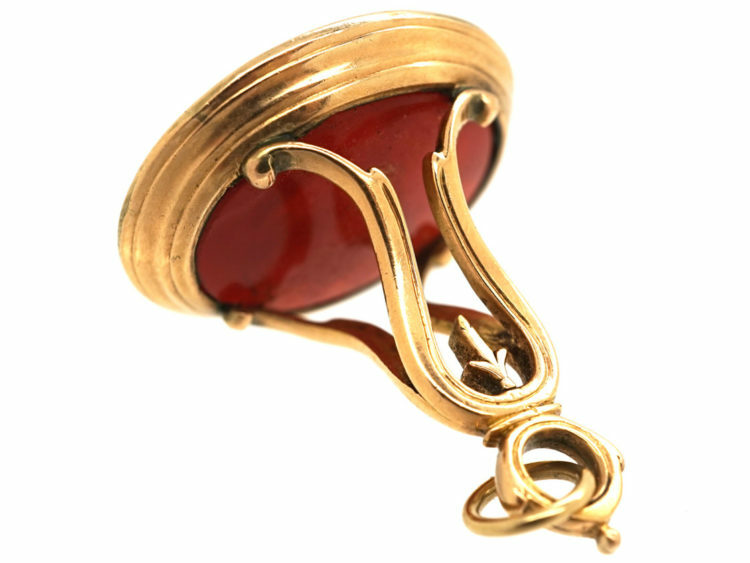 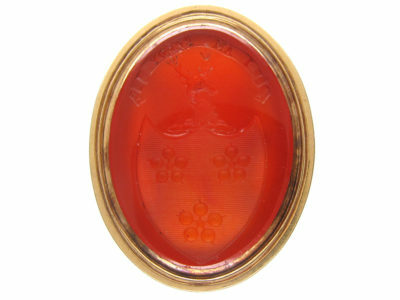 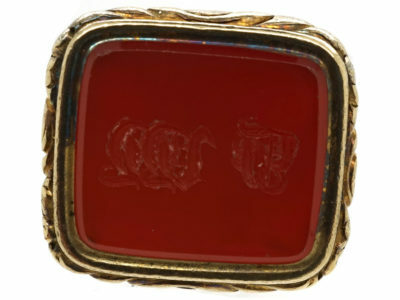 The base is a finely carved intaglio of a full Coat of Arms with motto. 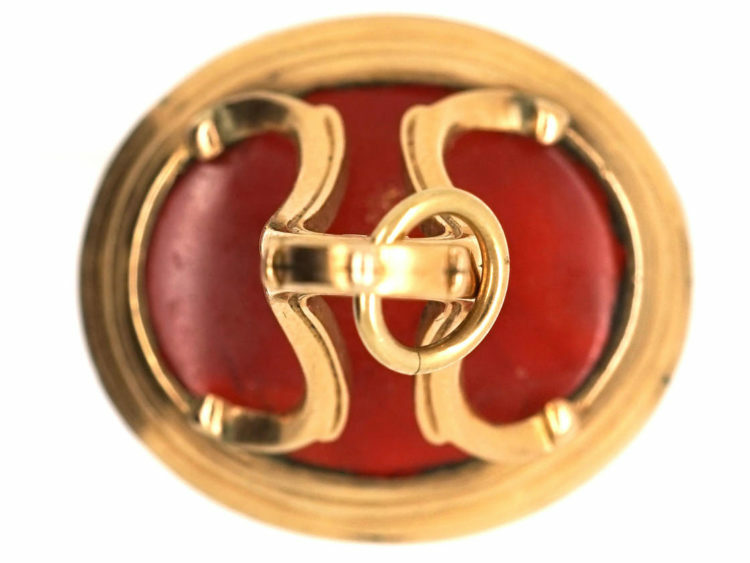 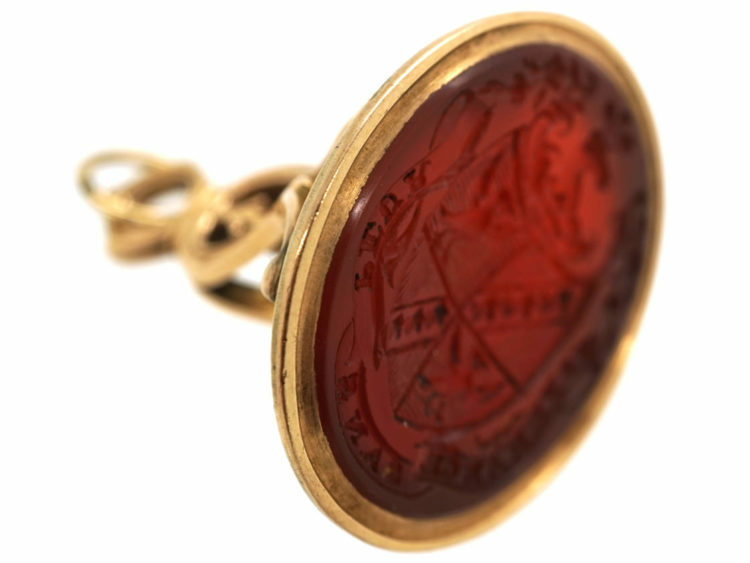 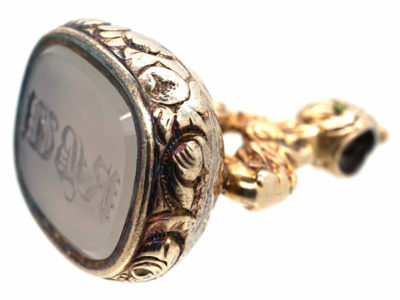 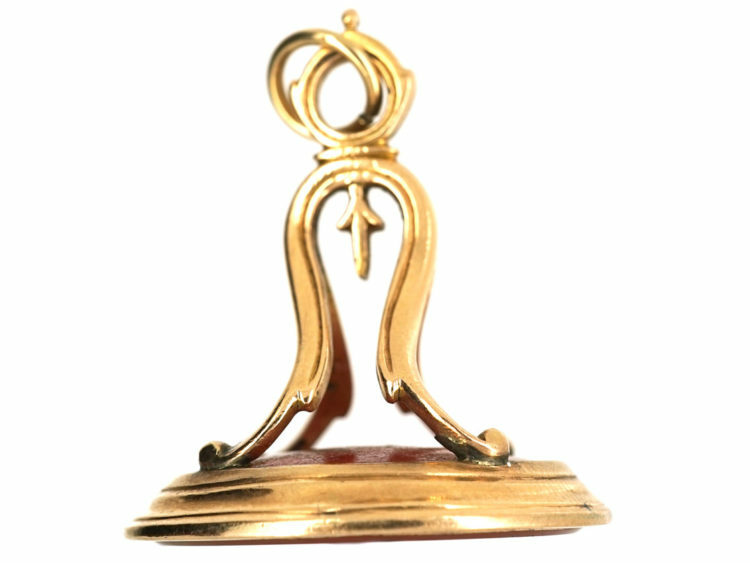 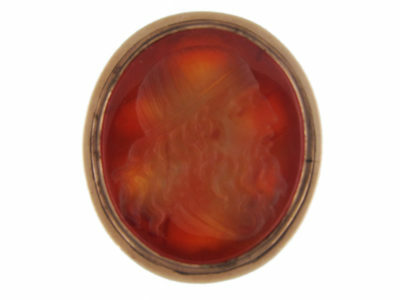 These types of seals are very sought after and can be worn on their own or with others either on a bracelet or, better still, a chain.